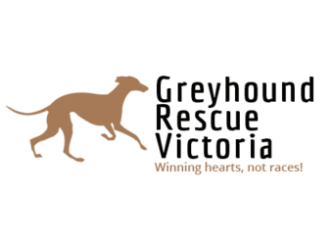 Founded in 2013, Greyhound Rescue Victoria (GResVic) is a registered non-profit charity passionate about rescuing rehoming greyhounds (and sometimes whippets) all across Victoria. GResVic relies on a passionate network of foster carers and volunteers. GResVic rescues and rehabilitates greyhounds that are pet surrenders, ex-racing/industry, and ex-broods, we also work with pounds. 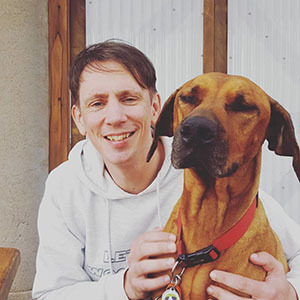 Following their career in the industry, our program works to rehabilitate and train greyhounds so that they can transition smoothly into pet life. Greyhound's in our program are temperament and behaviour assessed, as well as cat and small dog assessed. - rehomed with a leash, collar, plain coat during winter months, and a wire muzzle + our extensive adoption info booklet. Step 2 – We will endeavour to reply to your application form and contact you with a suitable matched hound based on your household. Please also be aware when requesting a certain greyhound, that it may already have found a home. 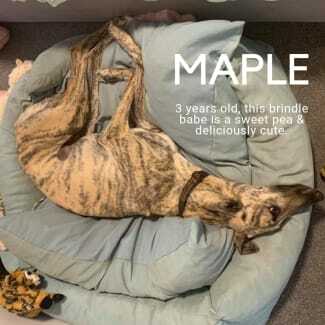 We have many other dogs in our program looking for forever homes – the adoption form enables us to match a greyhound to you and your household. Step 3 – We will book you in for a meet & greet.. Pending the outcome of the meet & greet, this is the day you take your dog home. 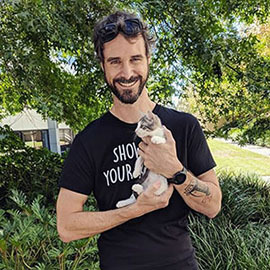 Please note: we do not hold dogs in our care for adopters, if you are interested on the day of the meet & greet, you must be prepared to take your new family member home. Step 4 – We request the adoption fee at the beginning of your trial. A trial runs for two (2) weeks. 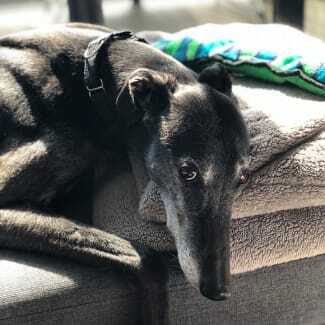 If you decide, at any time that the greyhound is not for you, or isn’t working within your household, the hound, and complete paperwork is to be returned to us and you will receive a refund of 80% of your adoption fee.